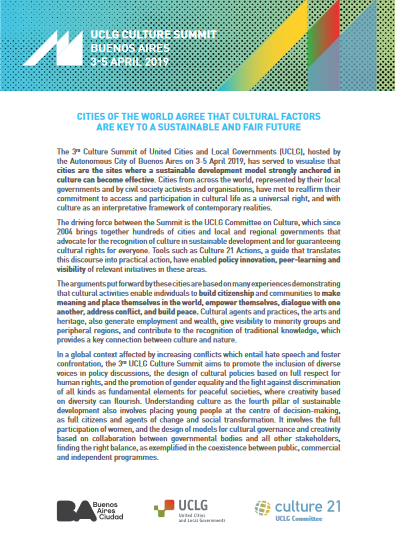 The UCLG Culture Summit is a unique global event, sends very strong messages on the role of culture in development and provides a remarkable international visibility to the city / region / local government that hosts the event. 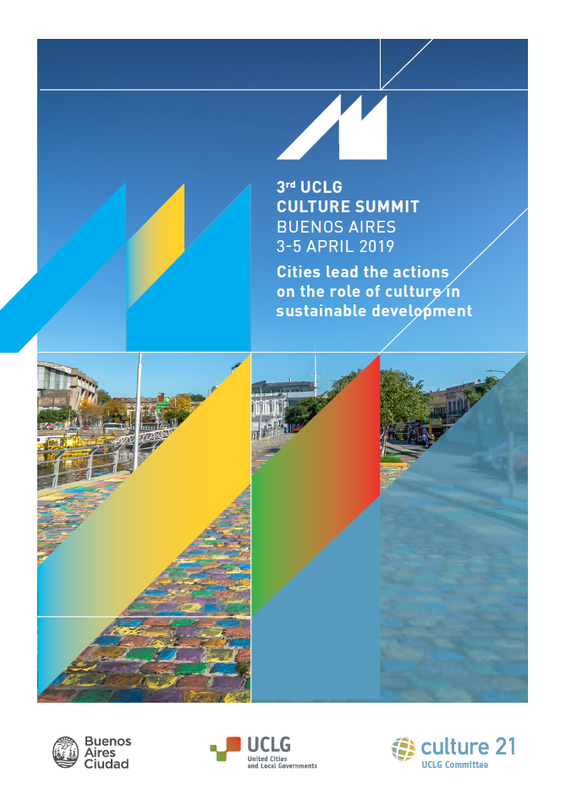 The programme of the Summit, elaborated between the UCLG Committee on culture and the host city, emphized that culture is an integral part of sustainable cities, and promoted the sharing of experiences and innovations from cities accross the world. Following are available a number of documents, among which: the background document, the Terms of Reference as well as the first pressnote on the Summit; but also the complete programme of the event and the final communiqué. 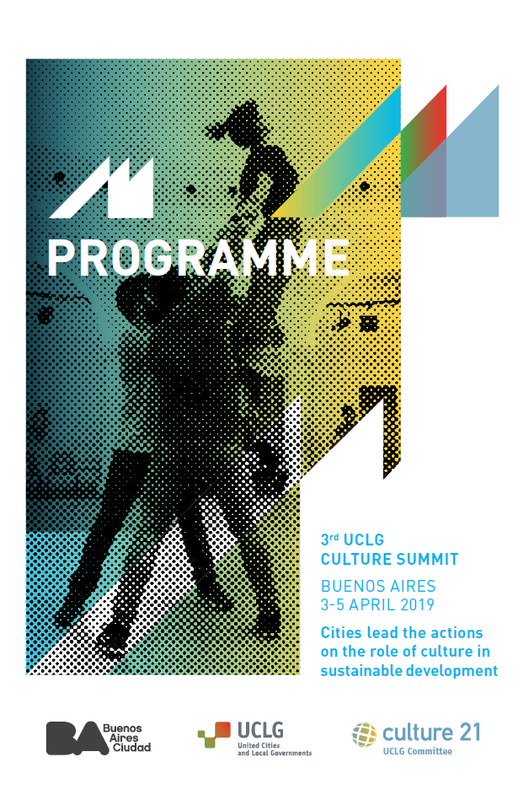 3rd UCLG Culture Summit - Background document. 3rd Culture Summit of UCLG - Terms of Reference. 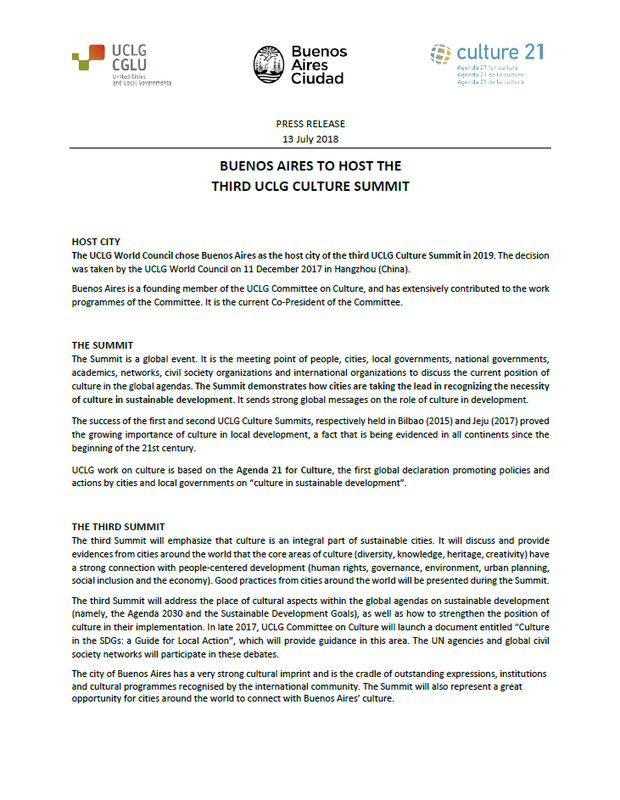 3rd UCLG Culture Summit - Pressnote.